I got in touch with the author some years ago, bought it when published but never got the time to read it in depth... I eventually did during Christmas break. For anybody interested in the stories (the big one and the little...) of the "wooden wonder" of De Havilland, it's a great book. A lot of interesting stuff regarding the particular manufacturing of this aircraft, flight reports in her different roles (there were many...) and the iconography is great. A bit like the P51, or how the proper engine in the right airframe makes the difference. There is a new book out on Geoffrey de Havilland (Lifetime of Innovation) by the de Havilland museum. Postage is quite steep, but I scored one on Amazon for the standard p/p. 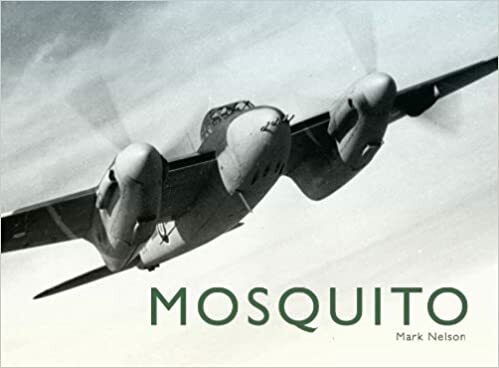 They have, also, reprinted and bound some pages from Aircraft Production magazine on the making of the Mosquito. I haven't bought it. For those of us near the East Coast of the US, Jerry Yagen is supposed to be flying his Mosquito at the Reading, PA Airshow June 3,4,5 this year. He is also supposed to have a Bf109G there also.